Brooklyn-based design studio Crème uses home-grown vegetables to produce a sustainable alternative to disposable coffee cups. 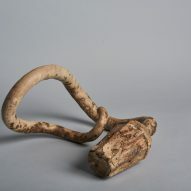 The Jun Aizaki-led studio grows gourds in moulds to create the biodegradable cups, which go by the name HyO-Cup. It claims that these cups can be manufactured on a mass scale – offering a more environmentally friendly alternative to paper coffee cups, which are typically lined with unsustainable plastic polyethylene. "We are in an urgent need to shift our current cradle-to-grave paradigm," said the Crème design team. "Take-away cups and packaging are a standard of everyday life but they produce an incredible amount of waste that ends up in landfills and contaminates our precious waterways and landscapes. What if aside from being a material resource, nature could also provide a solution for this worldwide issue?" Gourds are fast-growing plants that bear robust fruit each season. 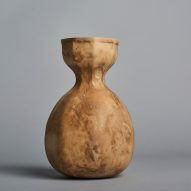 Once dried, the gourds' strong outer skin and fibrous inner flesh becomes watertight – so these crops have been used for centuries across the globe as decorative or functional vessels. 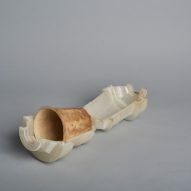 Crème adapted this method to create its own compostable vessels, using custom-designed 3D-printed moulds. Following extensive studies and the production of various prototypes, the studio developed a stackable set of cups that mimic the silhouette of a classic faceted glass cup. 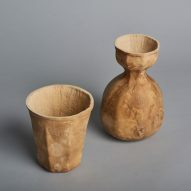 They have also created a carafe with a lip detail. "We can grow gourds into customisable functional shapes, such as cups and flasks that can be composted instead of filling up landfills like the plastic alternative," said the design studio. The designers point out that the manufacturing process for a typical paper-based cup produces over 100 grams of carbon dioxide, and less than one per cent are recycled after disposal. They argue that the HyO-Cups, being 100 per cent biodegradable, could significantly help to reduce this waste. 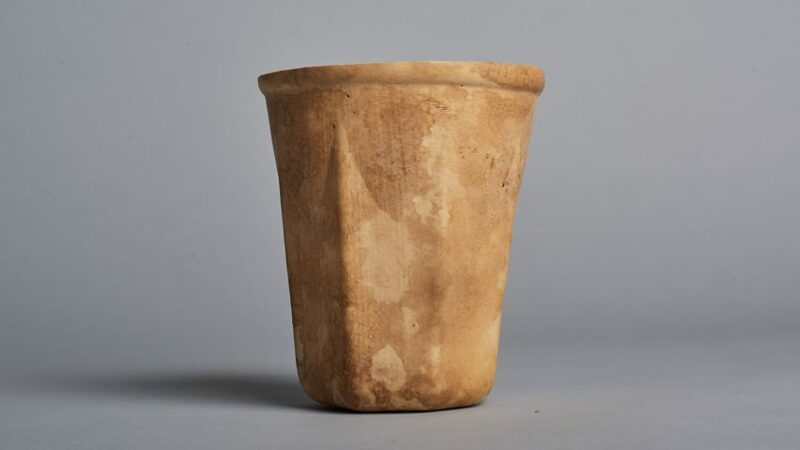 They initially grew the cups outdoors, but found that there were too many factors that could be controlled, such as humidity, pests, weather, and flooding. They are now growing them in a container laboratory set up in a shipping container, to explore whether they can produce a more consistent product. "Even though the practice of moulding gourds has been around for centuries, there are complications to mass producing a consistent product with an organic material," they said. "We started our experiment growing a few gourds outside in our backyard and eventually found a farm to take on a larger batch." The next step for Crème will be to set up a more permanent indoor lab. "Like all new projects, we are starting small and hope to scale up to increase quantity and lower the price per gourd, so that the HyO-Cup can be a viable challenger to the plastic waste industry," added the team. Crème is one of many designers taking action to reduce the environmental impact of plastic. Other recent examples include Spanish designer Andreu Carulla, who is making stools from waste polystyrene, and London-based designer Brodie Neill, who makes tables using "ocean terrazzo". A guide to circular design was recently published, encouraging designers to consider the life cycle of their products. Similarly, gallerist Rossana Orlandi has launched her own initiative to create "guiltless plastic", and brands such as IKEA have pledged to be plastic-free within five years.